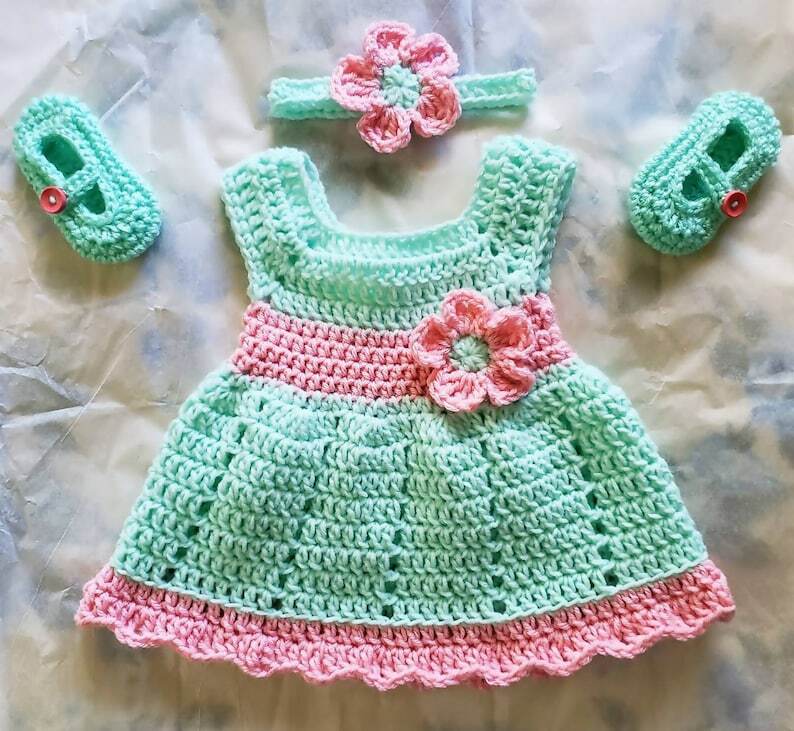 This baby dress has contrast trimming and it is decorated with a crochet flower. The dress is made with 100% soft acrylic yarn in a smoke and pet free environment. The dress is unlined, very soft and easy to wear. 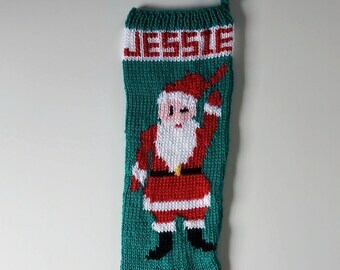 Suitable for spring and summer as is or for cooler months if worn over a long sleeve onsie. The dress shown is size 6 months. The crochet baby headband is decorated with a crochet flower. Headband shown measures approximately 12.5" in circumference (not stretched). The crochet baby booties are decorated with contrasting buttons and measure 4.5" in length (not stretched).